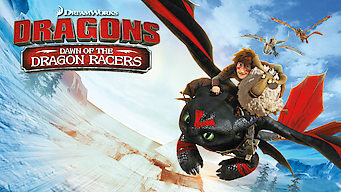 How to watch Dragons: Dawn of the Dragon Racers (2014) on Netflix Argentina! Yes, Dragons: Dawn of the Dragon Racers is now available on Argentine Netflix. It arrived for online streaming on October 7, 2017. We'll keep checking Netflix Argentina for Dragons: Dawn of the Dragon Racers, and this page will be updated with any changes. The "How to Train Your Dragon" adventure continues when a hunt for lost sheep turns into a fierce, fun-filled competition. Some competitive dragon-riding Vikings go on a search for lost sheep. And a new tradition is born.